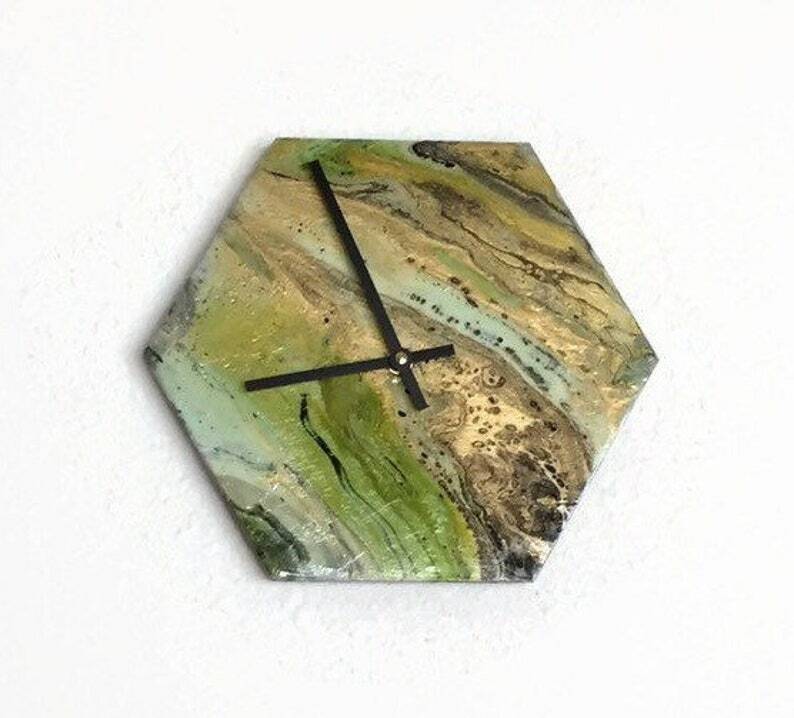 This unique acrylic pour wall clock is perfect for a bedroom, office, or living room. The hexagon clock base is laser cut from reclaimed wood. The swirls of green, gold and black are simply stunning! The beautiful cells can be seen throughout. The clock is sealed with 2 coats of triple thick. This clock is ready to ship and one of a kind! Clock Size is 10” x 1/4”. Due to the differences in monitors, colors may vary. Please let me know if you would like more photos.